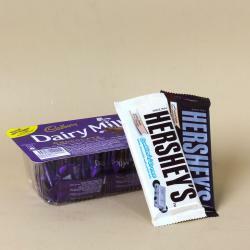 Product Consists : Lindt Excellence Myrtille Intense Chocolate bar (Weight : 100 Gms) along with Lindt Excellence Strawberry Intense (Weight : 100 Gms). Lindt Excellence offers Chocolate lovers to close the eyes and discover the finer pleasures with an unique and sophisticated sensory experience for the ultimate Chocolate pleasure. 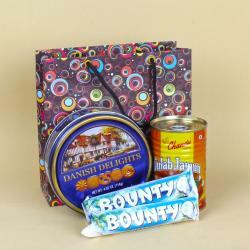 This Hamper contains two exclusive flavours any one loved to have it. Dark Strawberry Intense Chocolate bar is mouthwateringly divine. And Lindt Excellence Noir Myrtille Intense Chocolate Bar with chopped almonds and cranberries. The subtle harmony of silky dark Chocolate combined with the soft blueberry intensity and delicate crunchy sensation of With slivered almonds. Each bar encases luscious real fruit pieces in velvety smooth dark Chocolate for an exquisite aroma, taste and texture. This delightful Chocolate bars is the ideal treat to be savoured after dinner or simply for a little sweet delight during the day. 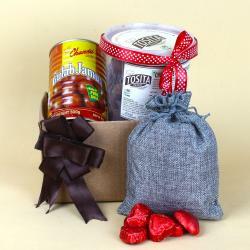 Added texture enveloped in intense dark Chocolate create an unforgettable taste sensation. Lindt Excellence tasting Chocolates are prepared for you by our Maitres Chocolatiers with a rare requirement of perfection: the selection of beans to the revelation of flavors and the finest Chocolate textures. 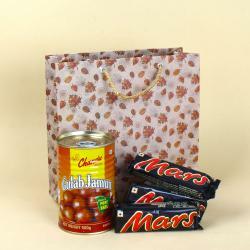 Browse your favorite products, it is very conveniently available for online shopping from anywhere in India with Free Shipping. 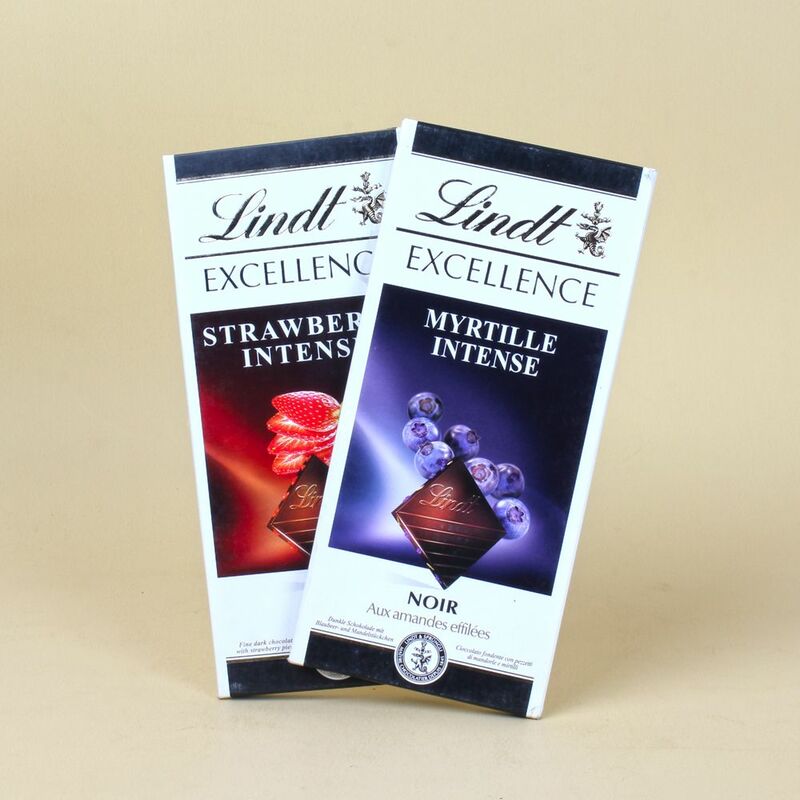 Product Includes : Lindt Excellence Myrtille Intense Chocolate bar (Weight : 100 Gms) along with Lindt Excellence Strawberry Intense (Weight : 100 Gms).